16 out of the last 18 years finishing in the Top 25 in the Learfield Sports Division III Directors’ Cup standings. 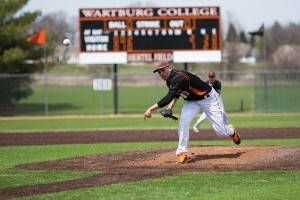 Wartburg has placed as high as seventh and was 18th in 2017-18. 24 consecutive years winning individual or team national championships, including the wrestling title in 2018. 18 of last 21 Iowa Conference men’s all-sports championships. 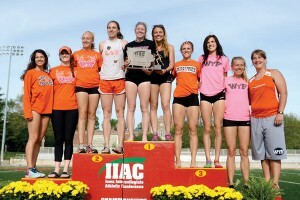 15 Iowa Conference women’s all-sports championships. 16 consecutive Iowa Conference all-sports championship trophies for overall men’s and women’s programs. Qualified for 14 NCAA Division III national tournaments: women’s and men’s cross country, men’s and women’s indoor track and field, men’s and women’s outdoor track and field, wrestling, volleyball, football, women’s soccer, women’s golf, and and women’s basketball. Junior Eric DeVos (Okoboji) won the national championship at 174 pounds and Wartburg won its NCAA Division III record-setting 14th NCAA Championships. The Knights have had an individual national champion every year since 2003 and have been the team national champion or runner-up in 14 of the last 17 years. 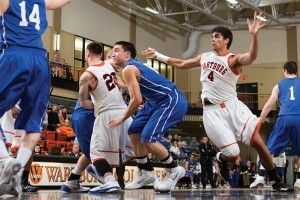 Wartburg student athletes enjoy some of the best NCAA Div. III athletic facilities in the country. WORLD-CLASS ATHLETIC FACILITIES. WORTH IT.